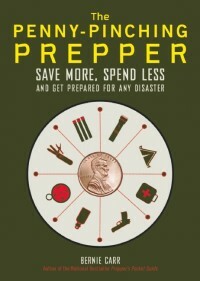 Being prepared is not just for natural emergencies or disasters. A job lay-off, while not usually considered an earth shaking event by most of the population, could be an “end of the world as we know it” for the person who is losing his or her job. There are “mass casualties” even though it does not involve physical pain, does involve mental and emotional anguish for those that are affected. Because it can be devastating and can significantly affect your lifestyle, it should be included in the list of events worth preparing for. I have been laid off from work a few times in my career, a couple of those times happened within a year of each other. Because of that unfortunate string of events, I have learned never to feel permanent in any job, even though I like to stay at my jobs for several years. My co-workers wonder why I do not post personal photos or keep plants and knick-knacks on my desk, and that is because I never want to grow roots and feel complacent. I learned to be observant and aware of the signs that things are not so stable. Pay attention to job-related economic news, and keep your eyes open. By the time you hear the euphemisms such as “re-organization,” or “downsizing” it may be too late. Christmas is only five months away! Start thinking about lowering expectations for gift giving, and start making homemade gifts now. Right now in my industry, we’re booming. Everyone else I know is really busy as well. This is both good and bad. The stress is a killer. It’s also somewhat unnerving, because over the course of my 22-year working career, whenever there’s a huge boom, it lasts for a little while, then everything crashes. It’s happened at least four times since 1993. I’m wary about the future because the signs all point to an economic crash of epic proportions. You nailed the “Know the Signs” very well. The only thing I would add to the “Steps to Take” is regarding medical insurance coverage. Most of the time when you are let go, your medical insurance will carry over to the end of the month. However, if you have any money in a “Flexible Spending Account” – that stops the day of your last day of employment with the company. So, if your “Spidey” senses tells you something bad is coming down the road, take care of your medical, dental, & eye expenses as early as possible and make sure to use up your Flexible Spending Account funds – or you will forfeit the money you put into it.